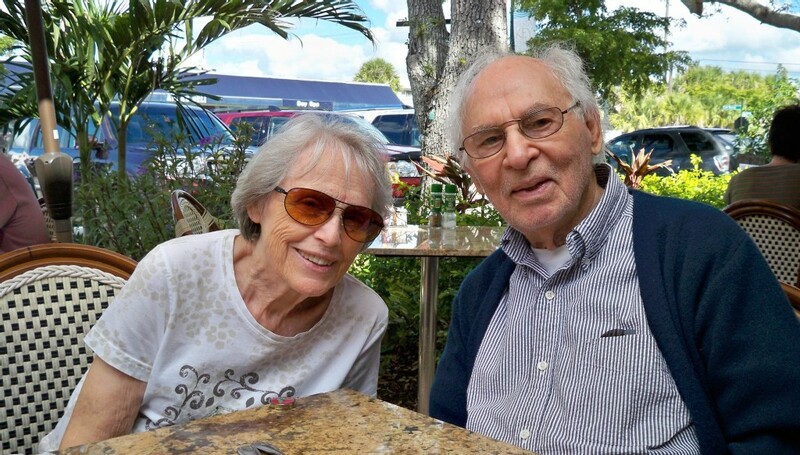 Essie and Mel Fechter were married in 1952 and moved to Orlando, Florida in 1957 where they raised their 4 children. The family’s favorite vacation spot was at the beach in Sarasota where they rented accommodations for their family of 6 until 1985 when Essie and Mel finally purchased their beautiful ocean front condominium. Mel is a retired attorney and Essie is a retired teacher and public school counselor. The Fechter family’s place at the beach has been a favorite respite and happy place for all their children and grandchildren. Each family member has special memories of escaping to the beach whenever the stresses of daily life dictated some time away in a completely relaxing locale. Once the children, grandchildren and great grandchildren became scattered across the US, Essie and Mel began sharing their little slice of paradise with others, making it available for lucky visitors to Siesta Key. They have welcomed guests from all over the world and enjoy personally greeting everyone upon arrival with Essie’s special “welcome basket” full of goodies. Essie and Mel have chosen to manage their vacation condo themselves because they firmly believe in personal service and attention. The comfort of their guests is a number one priority. Living near Siesta Village — less than 10 minutes away — allows them to make themselves available in case of emergency or other needs. You will enjoy complete privacy and autonomy during your visit, but will also have the peace of mind knowing you have access to caring local owners who can quickly respond to your needs.